Elegant 8x10 frame with hand-made design included. This item was one of the first things our guests saw upon entering the reception. 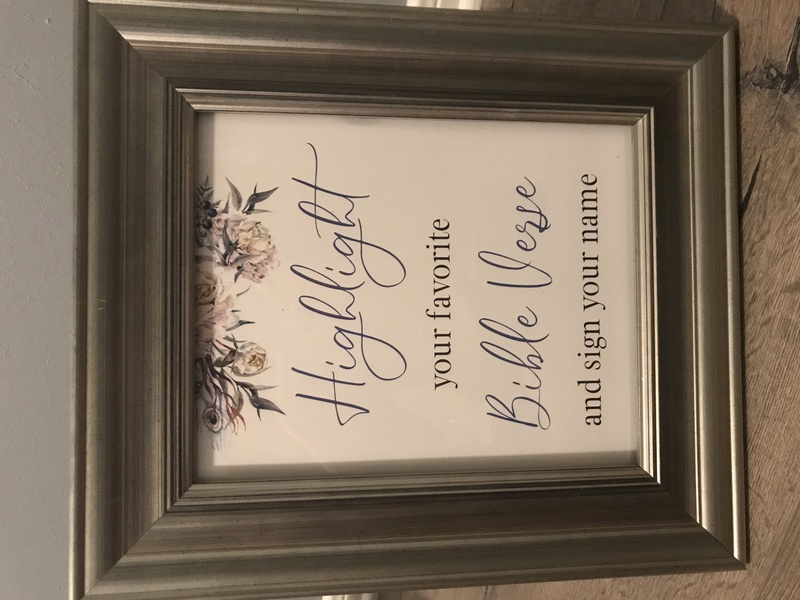 We had a hand-painted Bible as our guest book, which our guests filled with notes and best wishes. (Sign may be removed and frame used for a wedding photo after use).